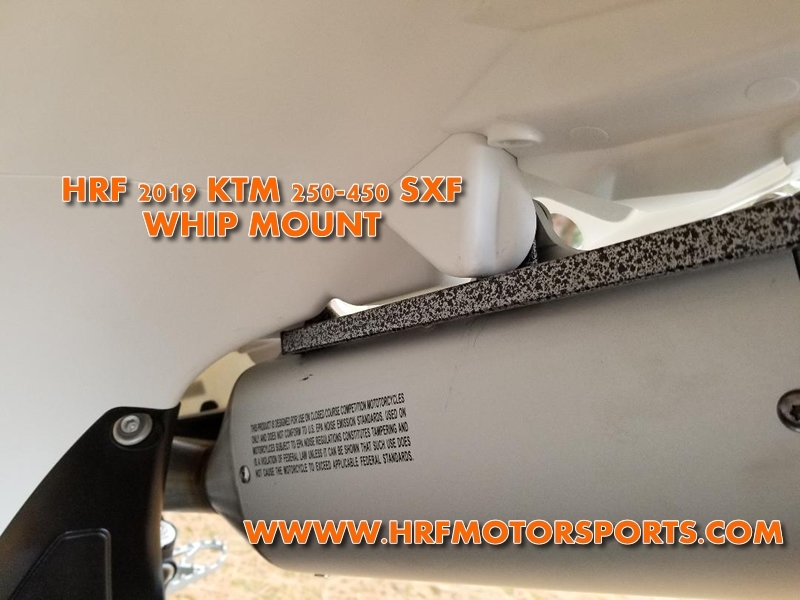 This whip mount will fit the 2018.5 KTM 450 SXF Factory Edition and the 2019 KTM 250SXF, 350SXF, 450SXF, 250 XCF, 350 XCF, & 450 XCF. 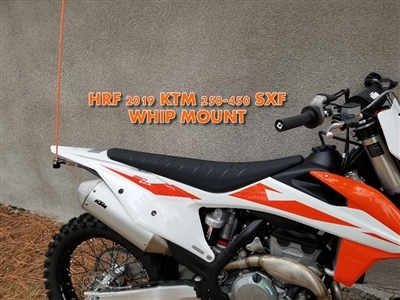 It bolts up under the rear fender between the muffler and the sub-frame. 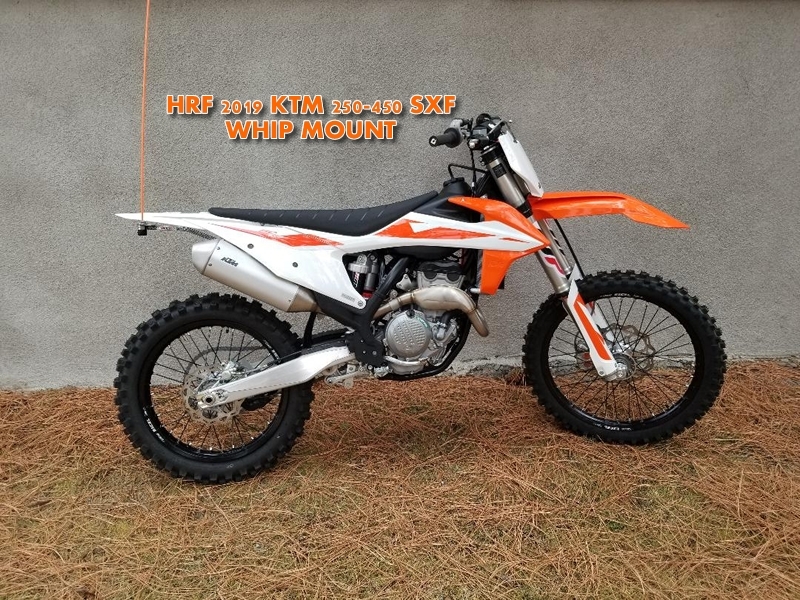 It comes with longer bolts if needed. 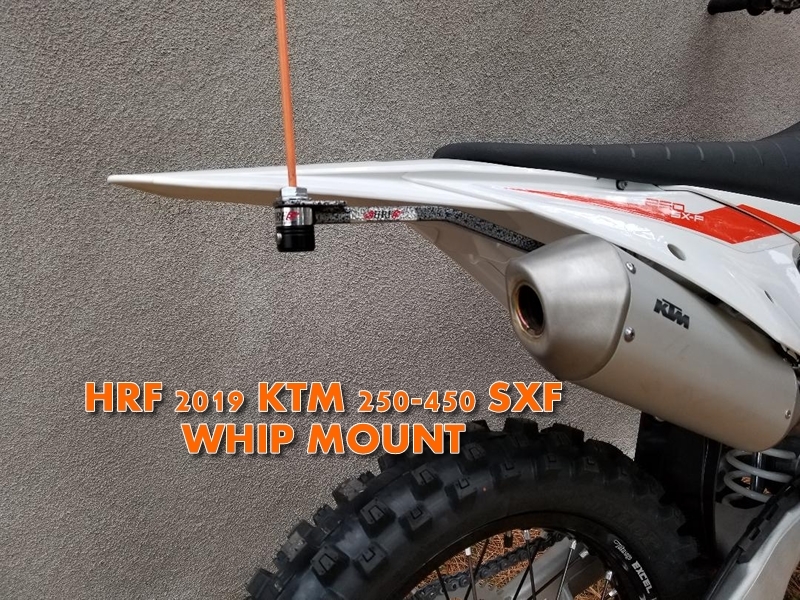 NOTE: The HRF quick release flag holder shown on whip mount is sold separately.